According to a new study by Britain’s National Health Service, it’s safer for women with low risk pregnancies to deliver under the supervision of a midwife than in a hospital maternity ward. According to the study, mothers expected to have uncomplicated deliveries, and their babies, did better with midwives compared to doctors except in one circumstance: first time mothers delivering at home. 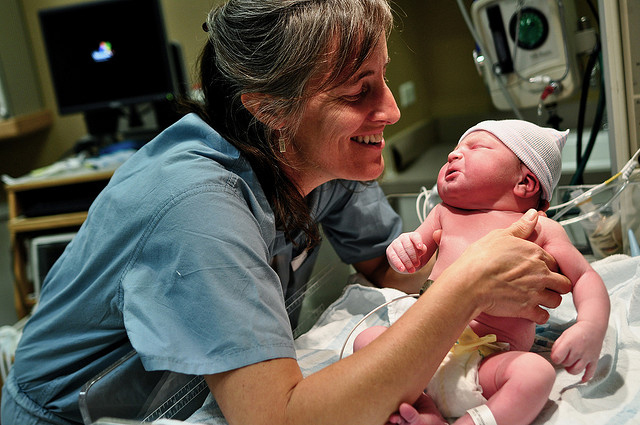 Of the 3.9 million babies born in the U.S last year, only about 9 percent were delivered by midwives and most of these in a hospital. But this may be changing. Join us to talk about best practices in maternity care.